Anyone still lamenting the loss of PlayStation Home will be pleased to hear that there’s a new virtual hangout in town. Starting September 23rd the early access of Atom Universe will be available on PS4 in North and South America. This follows right on the heels of the game’s Australian Early Access release, earlier this week. Atom Universe is billed as a Free-to-Play virtual theme park. It was funded for £25,073 on Kickstarter and promised a plethora of social interactions, rides, and mini-games. Judging from the Steam comments, it doesn’t quite deliver on those promises yet. The Steam Early Access has been available since March and has garnered mixed reviews. It seems that despite promising three initial rides in the Kickstarter, players can currently only wander the hub or go bowling. Still, Atom Universe seems to be pretty popular with the Second Life crowd. Those who are more excited for the virtual community experience than mini-games or rides. Despite being rather quiet about the current content available, developer Atom Republic seems enthusiastic about the upcoming release. So much so that they’ve also announced the addition of special content for players who upgrade to a Premier Subscription. For $5 per month your in-game persona will have access to exclusive items, such as: clothing, accessories, emojis, dances, bowling balls, and a house for all your digital goods. So, you can’t actually do anything extra, but you can look slightly different not doing it. Yay? Since Atom Universe is almost entirely focused on its social content it’s curious to learn that the server capacity is capped at 16 players. 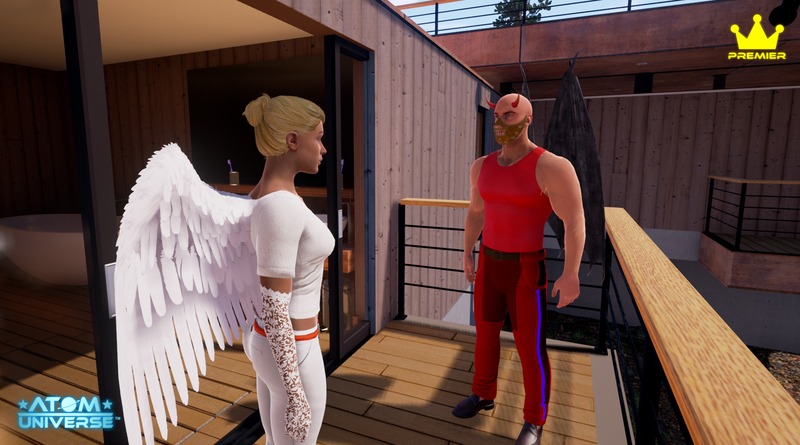 Atom Republic is planning to test bumping server capacity to 32 players for the weekend, but that still seems relatively low for an online world that’s trying to sell itself as an amazing place to virtually meet and hangout. 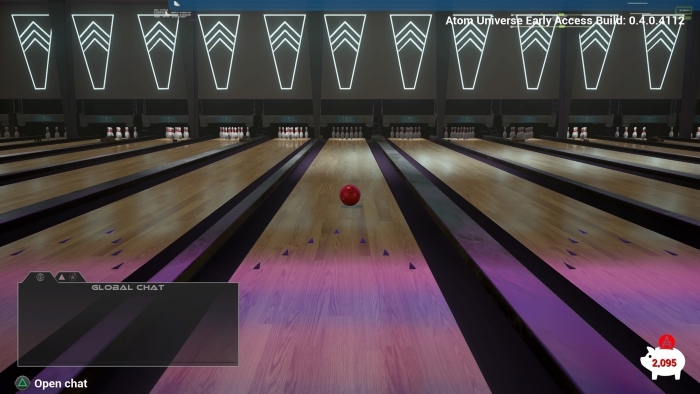 Regardless, PS4 users are looking forward to finally getting a piece of that sweet virtual bowling action. So far there hasn’t been a European release date announced, Atom Universe says it’s on its way. Maybe it will even coincide with more premium subscription based content.